Sensitivity, vibration intensity, and shock level can be adjusted according to different dogs and environments. When the dog bar reaches a certain level, it will trigger the automatic work of the product. First, the sound will vibrate after work, and the electric shock will work at the same time. It does not need to be vibrated or the electric shock function is adjusted to the 0 position to turn off this function. When the dog is not called, the product will enter the sleep state. It will work automatically when called, and the power saving mode. The product has a sound function every work. The other function gears are digital display gears. Do not turn other functions to 0 to turn off this function. The sensitivity is 1-7 gears. The higher the number, the higher the receiving sensitivity. Vibration 0-7 gear position, the bigger the number, the stronger the time. The greater the number of electric shock 0-7 gears, the longer the strength time. In the 0 gear position, there is no such function. 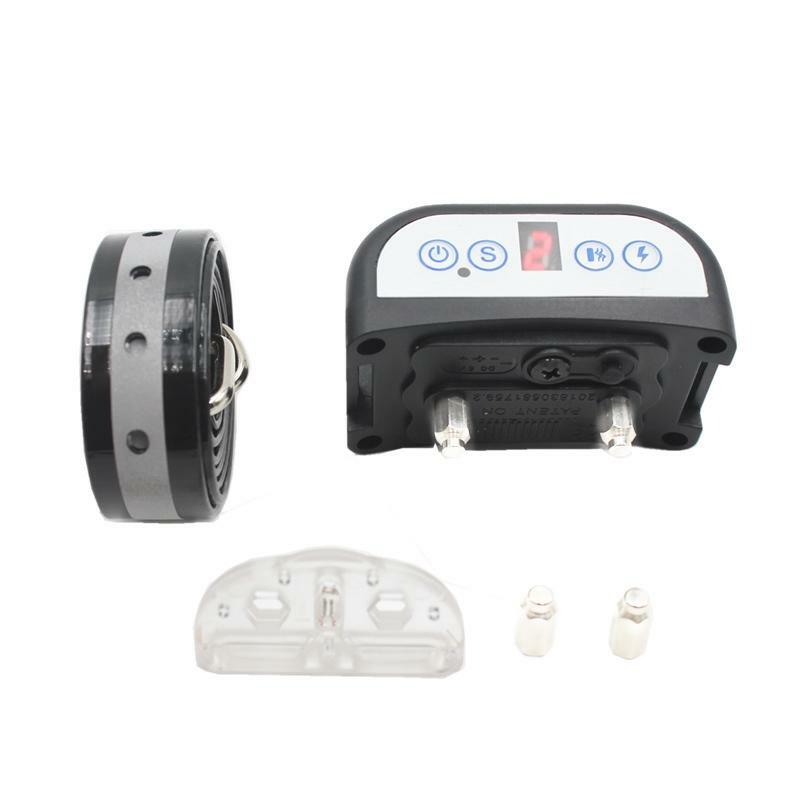 The 4 modes can be freely selected and used according to the dog's condition. 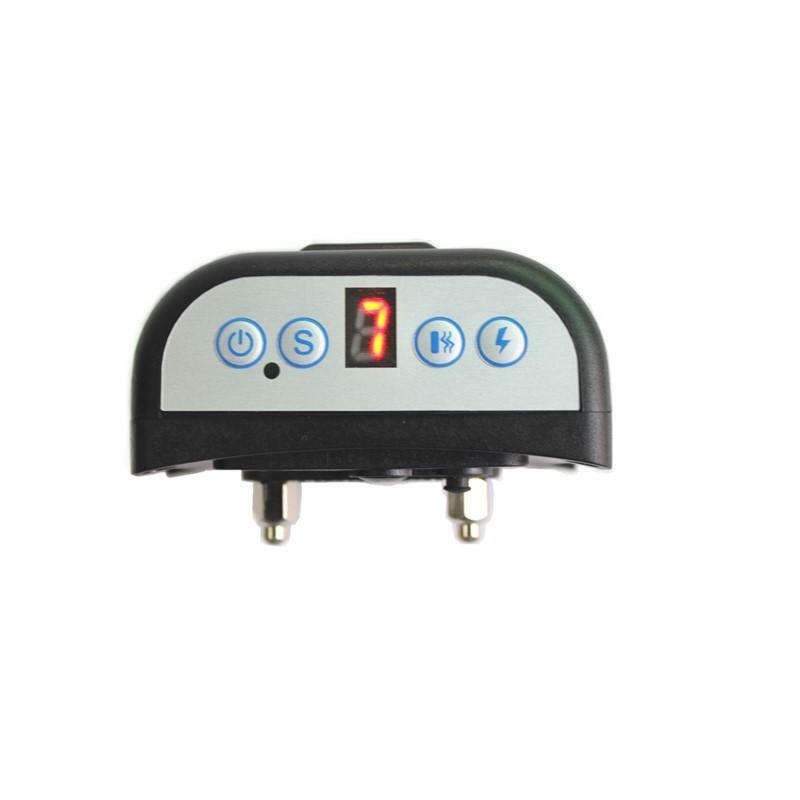 When the 5V charging is inserted, the LED red light flashes, the full red light is long, and the built-in 3.7V rechargeable lithium battery 400MA is usually fully charged in 2-3 hours. The charging can be used repeatedly for about 500 times. When the battery voltage is lower than 3 volts during operation, the LED flashes, and the drop...the alarm sounds, and the battery is charged in time. The dog has a bandwidth of 19mm and a length of 700mm. 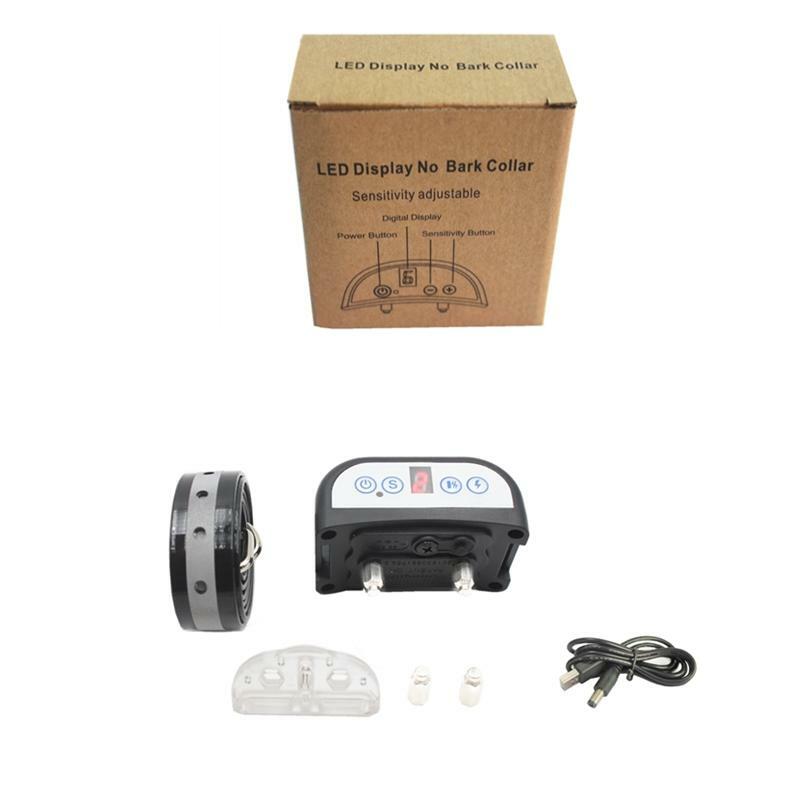 The collar is suitable for all dogs and will be reflective at night to protect pets. 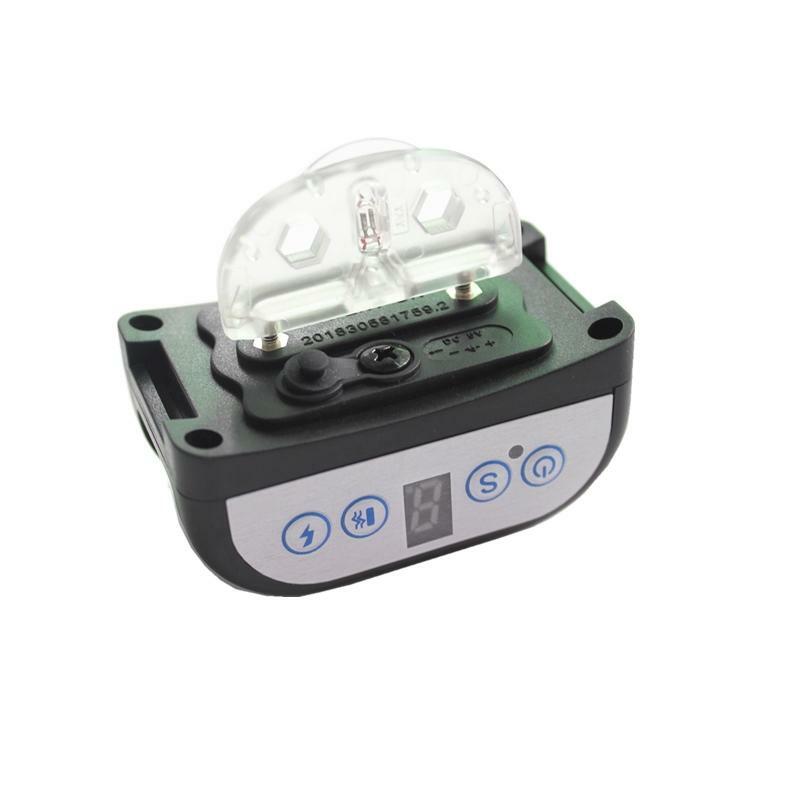 After the product is continuously triggered for 7 times in one minute, the stop indicator light flashes for one minute, and after one minute, it will restart to prevent injury to the pet. The product has a waterproof design. Some dogs are effective in 7-14 days, and most dogs will have an effect in 4-6 weeks. Note: Please charge before using the product! 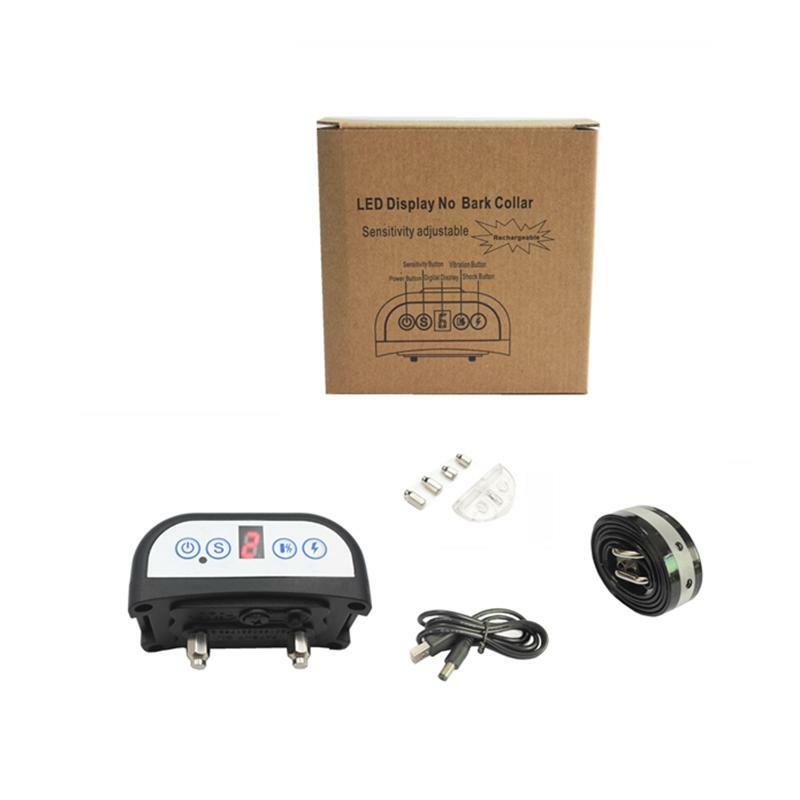 The product uses a USB charging plug, built-in microphone trigger, easy to use.